Over the last 15,000 years or so we have co-evolved with our canine counterparts. During this time they have done a fantastic job of learning how to understand us, read us and co-exist with us. However, it is an uncomfortable reality that many and even most of us humans do not properly understand or know how to decode or communicate with our dogs. Understanding how our dogs perceive the world, how they think and feel and what matters most to them is fundamental to our ability to provide for their needs and ensure we have a harmonious healthy relationship. So, here is an introductory guide to what goes on inside a dog’s brain, behind these big brown eyes we love so much! HOW DO DOGS PERCEIVE THE WORLD? Dogs are predators and scavengers. As such they have very good binocular vision facilitated by their eyes being forward facing on their heads to give an area of overlap for good depth perception and distance detection. As a trade-off though, they do not have great peripheral vision and cannot see anything behind them. They are particularly good at attuning to movement in their visual field. They are better at seeing in low light than us humans and can navigate confidently at dawn, dusk and even at night. They have poor colour vision and compared to us are lacking an entire spectrum. They can only make out blue and yellow hues and cannot see or differentiate anything in the spectrum of green, red or orange. So, when they can’t find that yellow tennis ball or red Kong on the green grass – this is why! It all looks the same to them! Dogs can hear far better than us people. Generally speaking, it is accepted that they can hear 4 to 5 times more acutely than we can. They can hear a wider frequency of sounds so can detect noises that are inaudible to us at the low and high end of the spectrum. 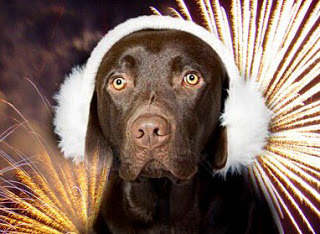 Of particular importance to remember is that loud sounds – such as thunder or fireworks - can be very confronting, terrifying and even painful to dogs. This is where dogs really excel. We cannot even begin to imagine the extent to which they “see” the world through scent. In fact, they are able to see in the dimension of time with their nose – perceiving things that are no longer present (this is incredible as all other senses detect only what is present in that current moment). Dogs have a much larger nasal surface area and density of smell receptors than people and a much more advanced brain centre for perceiving and interpreting scent. One study has shown that dogs could still detect a human fingerprint on a pane of glass 6 weeks after it had been left! Phenomenal! Dogs have all of the same variety of taste receptors on their tongue that we do namely: sweet, salty, sour, bitter and umami (the Japanese word for a savoury meaty taste that is stimulated by MSG and other compounds). Generally dogs have fewer taste buds than people (approx. 1700 compared to 9000) which has led people to conclude they cannot taste as well. However, it can be argued that dogs may be able to taste as well or even better due to the contribution of their far superior sense of smell – we all appreciate how smell and taste are linked! Dogs are able to perceive tactile inputs the same as we can and are able to experience sensations from extreme pleasure to severe pain. They have receptors for heat, cold, pressure, balance, movement and different kinds of painful stimuli. Cognition refers to all of the conscious and subconscious workings of the brain. It is inherently very difficult (and sometimes impossible) to accurately observe, measure or appreciate the inner workings of another species’ brain as we can only do so in comparison with ourselves and in ways which are relevant and meaningful to us. There are often huge limitations and flaws to studies which look at dog psychology and intelligence. This aside, it is generally accepted among experts that dogs have the cognitive and reasoning ability of approximately a young human toddler (around a 2 year old). Specifically, as far as we know, dogs are self-centric and very much “in the moment”. They are more impulsive and less rational than adult people, more driven by emotion but with less ability to recognise and reflect upon their emotions. Dogs, like children are very “context dependent”, meaning how they think and feel is acutely and mostly dictated by what is happening around them and within them at any one time. Therefore, it is always very important to consider both the external and internal environment of dogs when trying to understand how they are thinking and feeling. External sensory inputs and things such as presence of stimuli will affect what they think and do. The 3 D’s (distance, duration, distraction) which refer to triggers in the environment need to be considered. Additionally, internal processes will hugely affect their mood and behaviour (temperature, hunger, hormones, pain, itchiness, discomfort, irritation, illness, disease etc). As far as we can ascertain, dogs are not capable of “theory of mind” which is the ability to project oneself into the mind of another and understand what they are thinking and feeling. Rather, they are only aware of and concerned with how they are thinking and feeling. We do not believe they are capable of metacognition – the ability to recognise one’s thoughts and thought processes for what they are, reflect upon them and transcend them (to think about our thoughts). Of fundamental importance to understanding dog psychology and behaviour is recognising they are not moral. Dogs have no concept whatsoever of “right or wrong”, “fair or just”. These are abstract adult human constructs and it would serve us well to remember they do not apply to other species. Dogs are concerned only with what is “good or bad” in terms of consequences for themselves. They behave simply to obtain good consequences and avoid bad consequences, separate from any greater morality or meaning which we humans may often overlay on reality. An important implication of this is that dogs are actually not capable of doing anything “wrong” – they do only what works for them and what they deem best in terms of dealing with the situation at hand and getting their needs and wants met. Therefore, it is NEVER appropriate to punish a dog for what we consider a “wrongdoing” – instead we must of course teach them what to do and how to behave in a way which we deem desirable. When it comes to understanding and living with dogs, it is necessary to appreciate what they are and are not capable of feeling. It can be equally as harmful to our relationship to either discredit them the amazing abilities they do have or credit them with extra abilities they do not have. Either mistake can lead to misunderstanding and conflict. SO WHAT DO OUR DOGS REALLY NEED AND WANT? 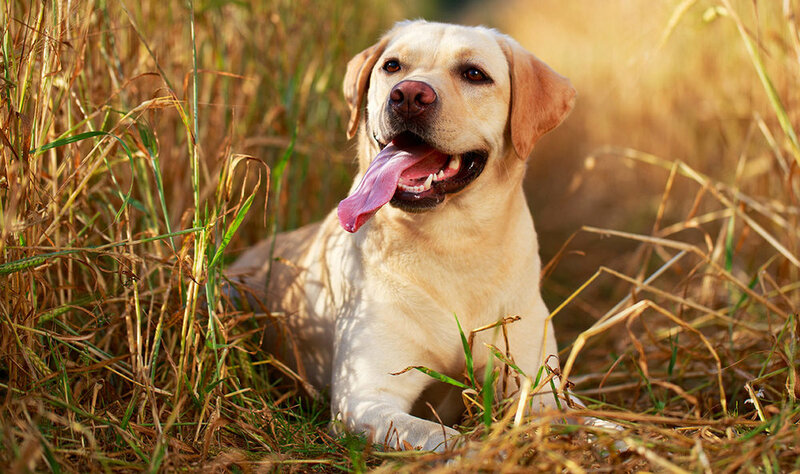 All dogs are individuals and have different preferences and priorities in terms of what matters most to them. Some are more motivated by food, others by play or exercise, others by social contact and company. However, there is one thing above all else that I would argue is of most value and importance to all dogs … INFORMATION! In my opinion, this fundamental concept is the most crucial and useful one a dog owner could ever learn. It shapes how we relate to our dogs and provide them with what they need to survive and thrive in our human world. Information should be considered the most important resource to all dogs – it is in effect, their “currency”. Think about this scenario for a moment, you are abducted by aliens and find yourself on board an alien spaceship without any other people around. You have to learn by observation and trial and error how to behave in order to keep yourself safe and get what you need and want. You may find something to eat on a bench – but get harshly reprimanded when you take it. You may find a suitable place to relieve yourself, but get aggressively confronted when you do so as this is not where the aliens deem it appropriate for you to pee. This is similar to the situation our dogs are in when they enter our human homes. This can be an intense and endlessly stress provoking existence for our pups – fumbling their way through as best as they can – all the while with the cognitive and reasoning ability of a toddler. So, when it comes to interacting with our dogs, the most practically useful, life-saving, stress-relieving and precious commodity we can give them is information. Dogs need information to work out what is going to happen, whether it is of relevance to them, what to do about it and whether everything is going to be ok. They need information to navigate through our confusing world and keep themselves safe, ensuring they get their wants and needs met. Dogs are always trying to get more information. If we do not provide it or if we provide conflicting, confusing, unhelpful information, they may develop emotional and behavioural problems as a result as they attempt to obsessively monitor the environment to gather information - this manifests as anxiety and hypervigilance. They may also provoke the environment to try and obtain more information – this can manifest as a dog being reactive or aggressive as they try and act upon their environment to see what happens and thus elicit some information about whether something constitutes a threat and what they may need to do next. ** We need to cut the confusion and try to limit the redundant overflow of info we often output – dogs have to filter through a lot of irrelevant stuff from us! Think of all the noises and body language people make when interacting with dogs! *** We must never be ambiguous. * The information needs to always mean the same in the same context and not vary randomly. This way the dog can accurately learn, generalise and make appropriate assumptions based on it. They can then be confident they can obtain a reliable outcome each and every time. If dogs do not have information which fulfils the above criteria, they are likely to feel very anxious! Anxiety is all about uncertainty. Dogs and people experience anxiety when they are worried about a potential future outcome which could be bad. Then they will feel calm, confident and secure. Remember, knowledge is power! This applies to dogs and people alike. Having the information you need is a powerful way to combat anxiety! HOW DO YOU PUT THIS INTO PRACTICE AT HOME? #1. First arm yourself with information! Be educated – know how your dog sees the world, thinks and feels as discussed above. This serves the basis of helping him. Consistency and repetition form the basis of learning. To help dogs know what to do to get their wants and needs met we need to teach them. This is most easily and simply done with a “sit to speak” protocol: in practice this is just asking the dog to sit and look at you before any interaction (whether it be before getting a pat, a door opened or food). NB: This is NOT about obedience or making the dog sit for the sake of it – rather this a way to empower dogs by giving them control over their environment. What they learn is that they can communicate with us to get their wants and needs met just by sitting and making eye contact. Following a routine helps dogs know what to expect, they thrive on it! Be mindful of all of the information you are giving off. 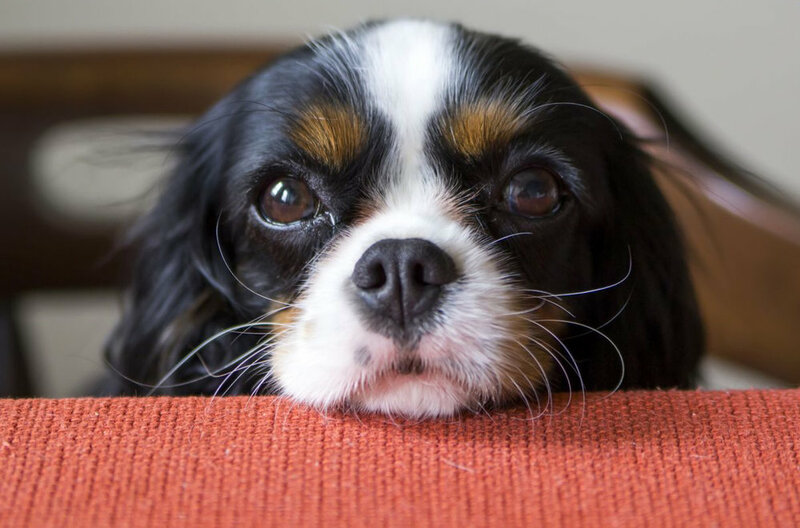 Try not to dump excesses of information upon dogs – they already have a lot to deal with! Every movement and noise you make is something your dog has to perceive, process and interpret. Try to limit all the extra redundant “nonsense” you may feel it instinctive to partake in when interacting with dogs eg high pitched squealing or erratic movements. Endeavour to be calm, clear and minimal when you speak to them. Remember they may find non-verbal communication more helpful than verbal. In summary, dogs spend their lives trying to defer to us for information in order to understand their world, know what to do within it and feel safe and calm. It is up to us as responsible pet owners to be mindful of their needs and try our best to always be a clear, reliable, consistent epicentre of this most precious of their resources – information. Elle's behavioural mantra is "compassion, communication, co-operation, cohabitation" and she brings her great enthusiasm to the AdelaideVet Animal Hospitals team.